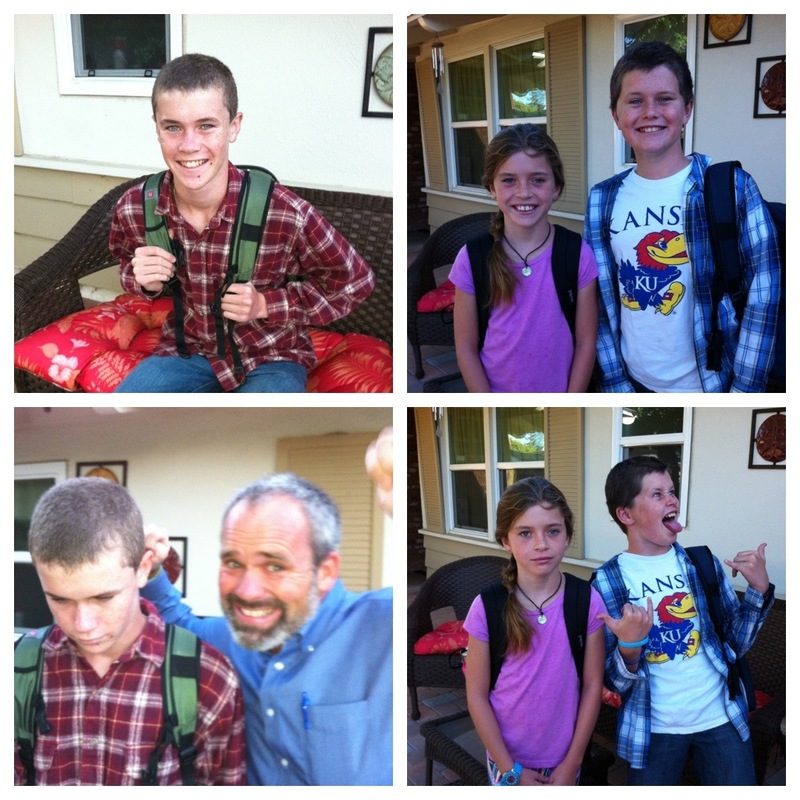 Back To School…for the big sibs! Well, we’ve made it to Day 3 of the 2012-13 School Year! Ha Ha The big sibs all headed back on Monday at the start of what’s turning out to be the hottest week of our summer – that’s just wrong! 🙂 All are coming home pretty wiped at the end of the day but generally pleased with their teachers and classes. Rudy has been a little lost with everyone gone during the day. On Monday he periodically headed down the quiet hallway knocking on each of the kids’ bedroom doors in search of a playmate – too sweet! Rudy’s new teacher paid us a home visit yesterday to get acquainted before school starts for his class on Tuesday. Teacher Diane is sweet and will be a fun addition to the Bear Club family. I was informed yesterday that he’ll also have a new nurse so we hope to meet her before Tuesday as well…lots of adjustments ahead for Rudy next week so we’ll take it slow if need be. We’re looking forward to another great year for Rudy and the big kids. I’m praying specifically that this will be a stable year for Rudy physically and that the underlying anxieties in our household regarding Rudy will be outweighed for the big sibs with a strong sense of encouragement, affirmation and hope throughout their long days away from home. 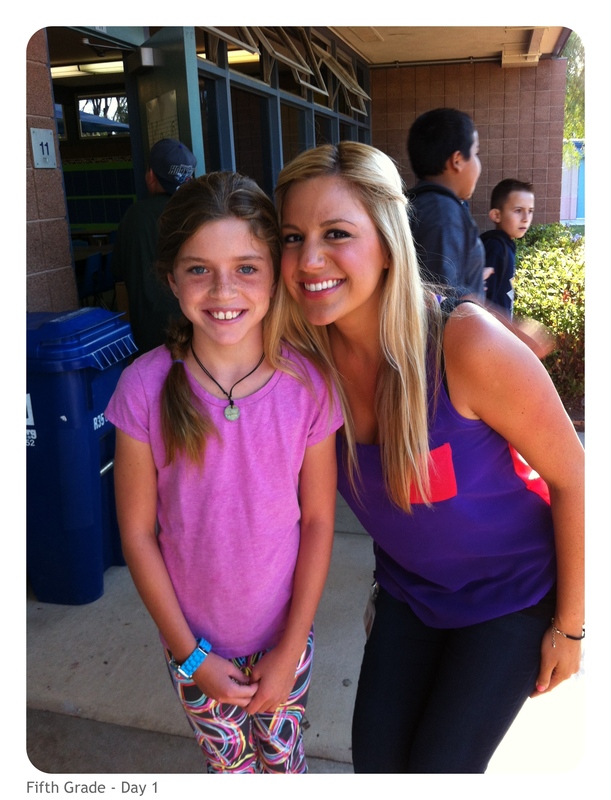 Little Miss 5th Grader…with Teacher Miss Grant!!!! Does she look familiar? 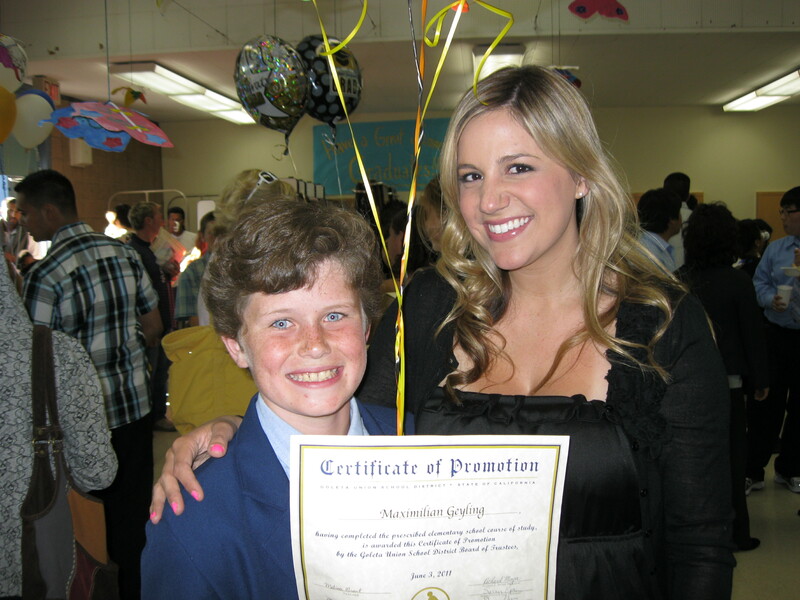 Miss Grant was Max’s teacher in 5th AND 6th grade! Yippy…we love Miss Grant!! Lots of Geyling love to you and yours!! Next Post Back To School…for Rudy! Love seeing all the happiness going back to school. Wish mine would allow pictures….oh well! As always doing such a great job integrating Rudy and the big sibs and sharing the time. Love that Rudy is looking for his sibs in the house. He will have his fun next week and Mom and Dad can take a wee bit of a break during the day??? Praying for a great year for all of you. Great shirt, Max! 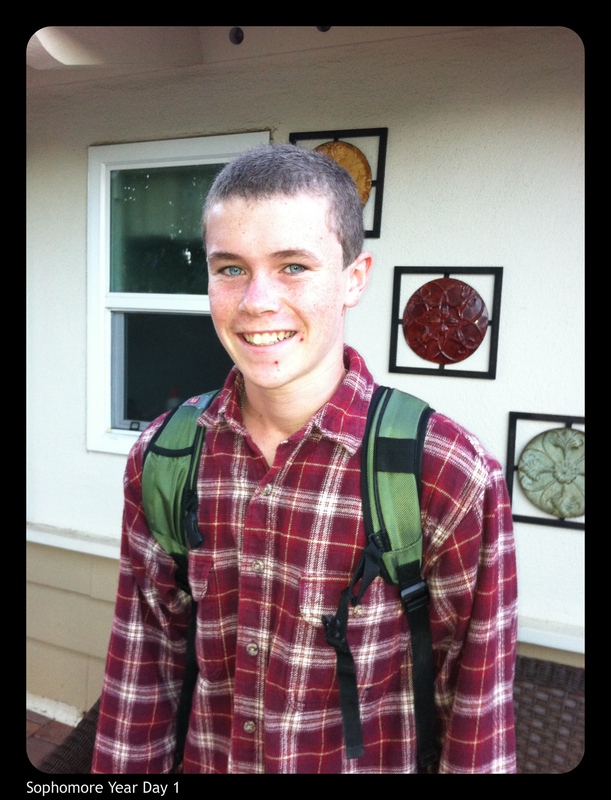 Wil, you are rockin’ the short hair! Livy, I know that “how you really feel” picture is a LIE! 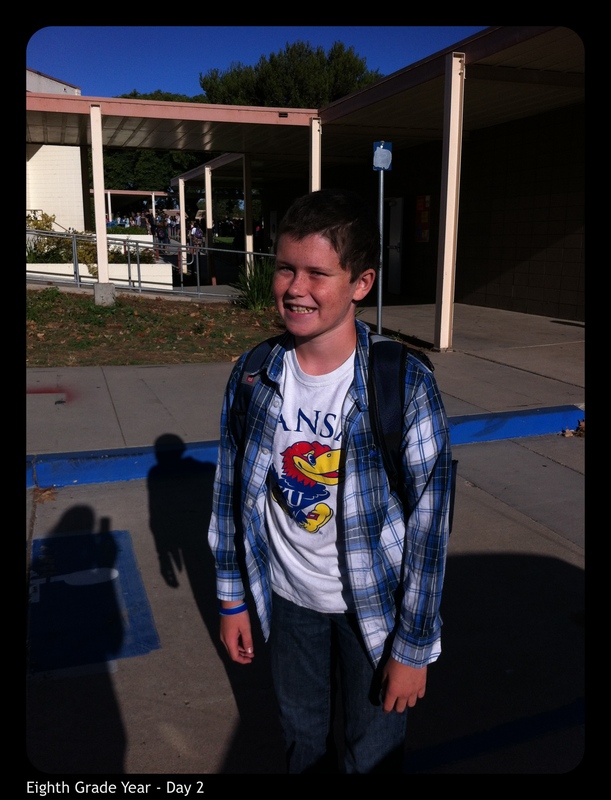 And, Rudy, can’t wait for your 1st Day of School pic next week! Love to all the Geylings!! I love the “show us how you really feel” picture idea!! I am so proud of all of you–Mom, Dad, Rudy, Wil, Max and Livy! You sure make it easy to be a proud grandma! May God Bless all of you with a good year ahead! That is so sweet – Rudy knocking on sibs doors. Aww….. An dtell Livy I love her first day of school pants! Rolf’s expression leaves one wondering! The kids all look great. Nice that Rudy was looking for a playmate. Good to know and appreciate the teachers. 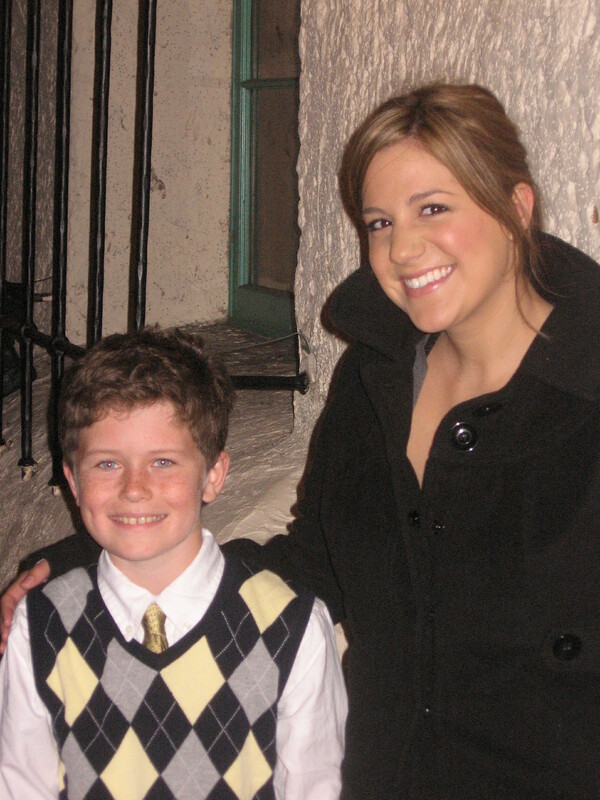 Your kids….so grown….oh dear….it’s happening so fast! Hope your year is a peaceful one. Hugs to Rudy!